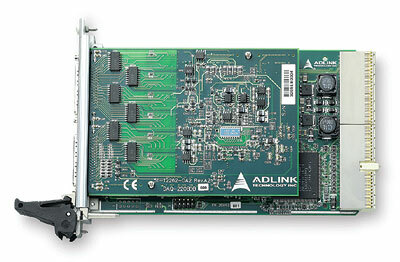 ADLINIK PXI-2208 is an ultra high-density, highperformance analog input module. This device can sample up to 96 AI channels with various gain settings and scan sequences, making it ideal for dealing with ultra high-density analog signals with various input ranges and sampling speeds. These devices also offer a differential mode for 48 AI channels to achieve maximum noise elimination. 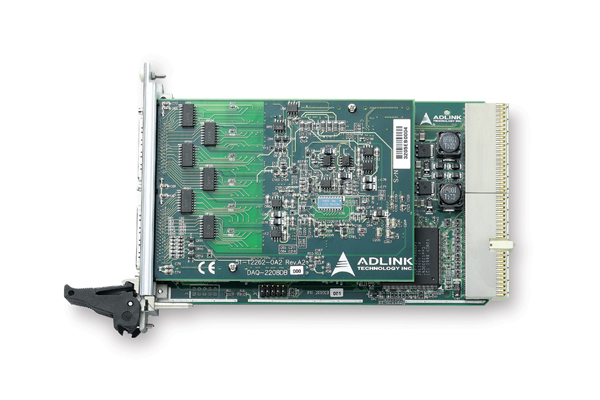 The PXI-2208 also features analog and digital triggering and 24-CH programmable digital I/O lines. Like all the other members in the PXI-2000 family, the PXI-2208 is able to perform analog input at full speed. 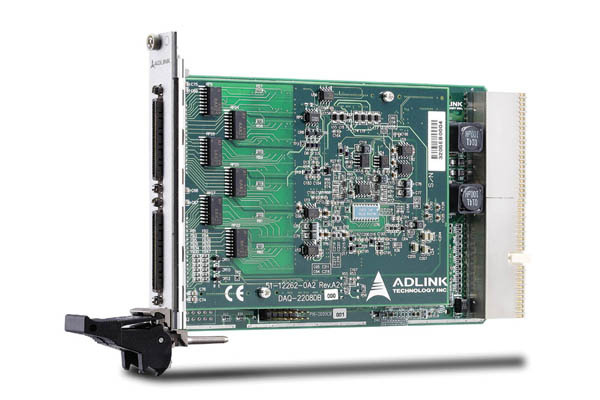 Multiple modules can also be synchronized through the PXI trigger bus. The auto-calibration feature adjusts the gain and offset to a specified accuracy, eliminating the need to calibrate the modules by adjusting trimpots.